UL ECOLOGO® is classified as an ISO (International Standards Organization) Type I ecolabel assessed by the Global Ecolabeling Network, and it is one of the most recognized ecolabels in North America. Since 1988 UL/ECOLOGO has helped purchasers and consumers identify products and services that meet multi-attribute, life cycle-based sustainability standards, and which have met strict criteria for reduced impacts on human health and the environment based upon third-party audit and review. A professional in the cleaning industry can choose to utilize the UL ECOLOGO product certification standards to specify and source third-party certified products which have a more environmentally preferable profile. Certified green cleaning products in the categories of hard surface cleaners (UL 2759), hard floor care (UL 2777), carpet care (UL 2795), hand cleaners (UL 2784) and hand sanitizers (UL 2783), biological based cleaners (UL 2792), and sanitary paper products (UL 175) can help a facility reach its overall sustainability goals, and can potentially contribute to LEED O+M certification for the building or CIMS-GB certification for the cleaning service provider. 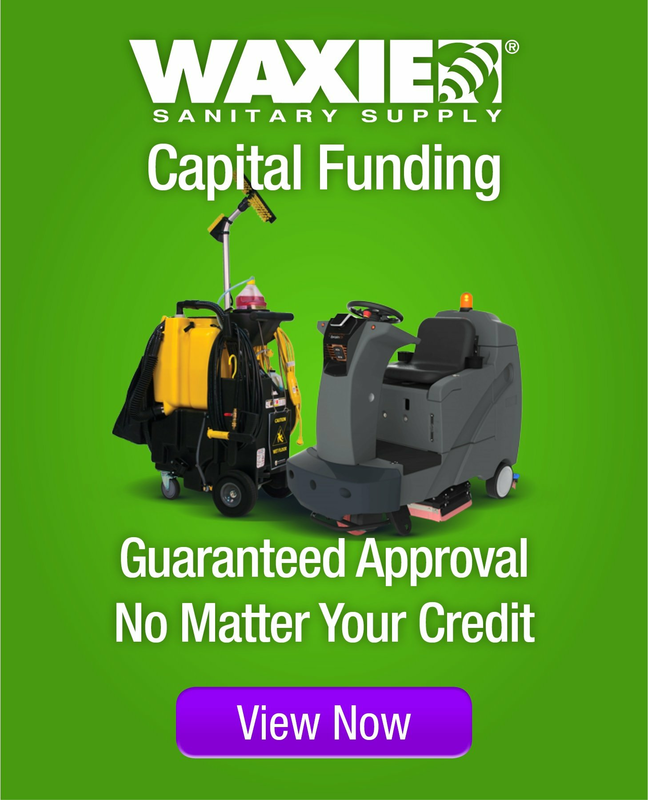 WAXIE has several UL ECOLOGO-Certified products from which to choose, including all-purpose cleaners, glass cleaners, neutral floor cleaners, restroom cleaners, carpet cleaners, hand soaps, hand sanitizers, floor finishes, floor finish enhancers, floor strippers, and sanitary paper products. Your WAXIE Sanitary Maintenance Consultant can work with you to design and implement a customized green cleaning program which includes UL ECOLOGO-Certified products. In 2010, UL (Underwriters Laboratories) purchased TerraChoice, the manager of the EcoLogo certification program since 1988. Although UL has assigned new product certification numbers to its portfolio of standards, there are still several green product procurement reference guides in the market which refer to the previous EcoLogo product certification criteria numbers – and in many instances, these reference guides (such as the LEED O+M Green Building Rating System) cite “Environmental Choice” when describing UL/ECOLOGO as a preferred product certification criteria or specification. The bottom line is that any product which has been referred to in the past as either “TerraChoice”, “Environmental Choice” or “EcoLogo” certified will now be referenced by its new “UL” certification criteria. Products certified to the new UL standards will be displayed in this catalog as “UL/ECOLOGO Certified” to help alleviate any confusion, and ultimately these products will be referenced as “UL Certified” in the future as the new UL standards become more widely known and accepted in the market.